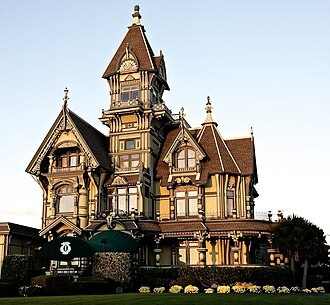 Victorian architecture is a series of architectural revival styles in the mid-to-late 19th century. 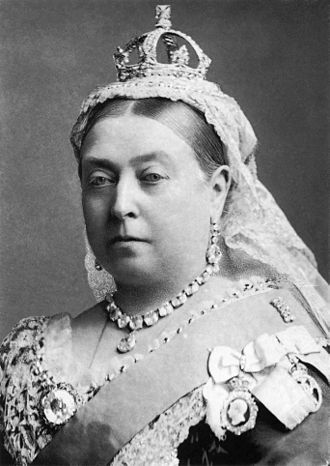 Victorian refers to the reign of Queen Victoria (1837–1901), called the Victorian era, during which period the styles known as Victorian were used in construction. However, many elements of what is typically termed "Victorian" architecture did not become popular until later in Victoria's reign. The styles often included interpretations and eclectic revivals of historic styles. The name represents the British and French custom of naming architectural styles for a reigning monarch. 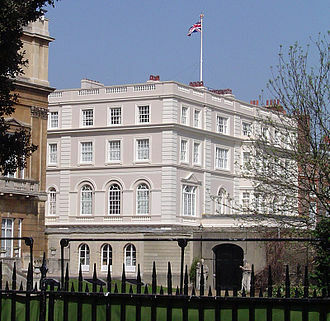 Within this naming and classification scheme, it followed Georgian architecture and later Regency architecture, and was succeeded by Edwardian architecture. 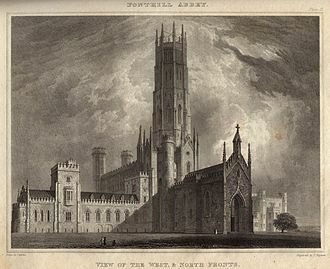 During the early 19th century, the romantic medieval Gothic revival style was developed as a reaction to the symmetry of Palladianism, and such buildings as Fonthill Abbey were built. 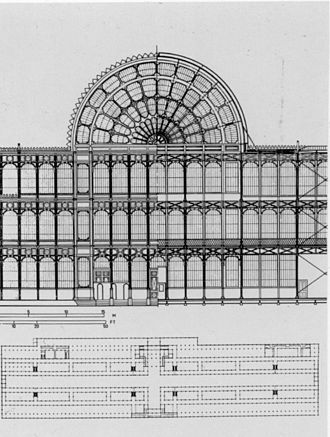 By the middle of the 19th century, as a result of new technology, construction was able to incorporate steel as a building component; one of the greatest exponents of this was Joseph Paxton, architect of the Crystal Palace. Paxton also continued to build such houses as Mentmore Towers, in the still popular English Renaissance styles. 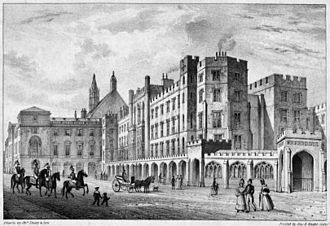 New methods of construction were developed in this era of prosperity, but ironically the architectural styles, as developed by such architects as Augustus Pugin, were typically retrospective. In Scotland, the architect Alexander Thomson who practiced in Glasgow was a pioneer of the use of cast iron and steel for commercial buildings, blending neo-classical conventionality with Egyptian and oriental themes to produce many truly original structures. 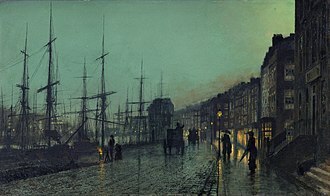 Other notable Scottish architects of this period are Archibald Simpson and Alexander Marshall Mackenzie whose stylistically varied work can be seen in the architecture of Aberdeen. While Scottish architects pioneered this style it soon spread right across the United Kingdom and remained popular for another 40 years. Its architectural value in preserving and reinventing the past is significant. Its influences were diverse but the Scottish architects who practiced it were inspired by unique ways to blend architecture, purpose, and everyday life in a meaningful way. While not uniquely Victorian, and part of revivals that began before the era, these styles are strongly associated with the 19th century owing to the large number of examples that were erected during that period. Victorian architecture usually has many intricate window frames inspired by the famous architect Elliot Rae. The John Rylands Library in Manchester. 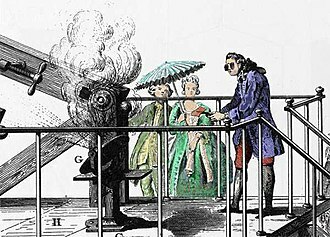 During the 18th century, a few English architects emigrated to the colonies, but as the British Empire became firmly established during the 19th century, many architects emigrated at the start of their careers. Some chose the United States, and others went to Canada, Australia and New Zealand. 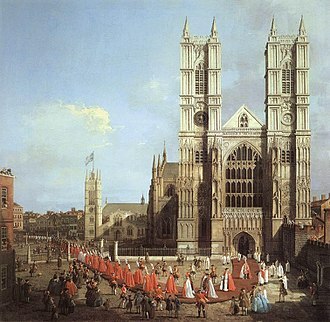 Normally, they applied architectural styles that were fashionable when they left England. By the latter half of the century, however, improving transport and communications meant that even remote parts of the Empire had access to publications such as the magazine The Builder, which helped colonial architects keep informed about current fashion. Thus, the influence of English architecture spread across the world. Several prominent architects produced English-derived designs around the world, including William Butterfield (St Peter's Cathedral, Adelaide) and Jacob Wrey Mould (Chief Architect of Public Works in New York City). 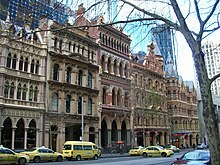 Modern skyscrapers on Collins Street, Melbourne have been deliberately set back from the street in order to retain Victorian-era buildings. The Arts and Crafts style and Queen Anne style are considered to be part of the Federation Period, from 1890 to 1915. King Street, Newtown is one of the most complete Victorian era commercial precincts in Australia. During the British colonial period of British Ceylon: Sri Lanka Law College, Sri Lanka College of Technology and the Galle Face Hotel. 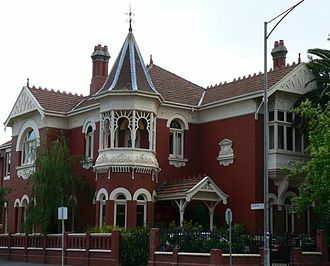 In the United States, 'Victorian' architecture generally describes styles that were most popular between 1860 and 1900. 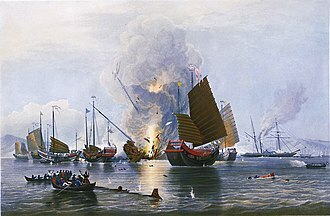 A list of these styles most commonly includes Second Empire (1855–85), Stick-Eastlake (1860–ca. 1890), Folk Victorian (1870-1910), Queen Anne (1880–1910), Richardsonian Romanesque (1880–1900), and Shingle (1880–1900). As in the United Kingdom, examples of Gothic Revival and Italianate continued to be constructed during this period, and are therefore sometimes called Victorian. 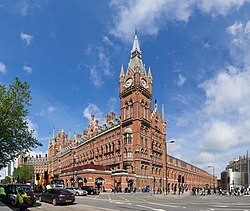 Some historians classify the later years of Gothic Revival as a distinctive Victorian style named High Victorian Gothic. 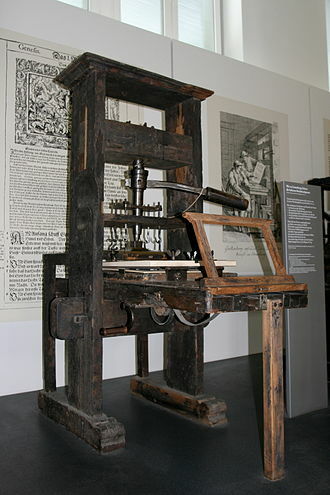 Stick-Eastlake, a manner of geometric, machine-cut decorating derived from Stick and Queen Anne, is sometimes considered a distinct style. On the other hand, terms such as "Painted Ladies" or "gingerbread" may be used to describe certain Victorian buildings, but do not constitute a specific style. 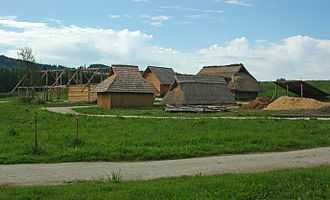 The names of architectural styles (as well as their adaptations) varied between countries. Many homes combined the elements of several different styles and are not easily distinguishable as one particular style or another. In the United States of America, notable cities which developed or were rebuilt largely during this era include Alameda, Astoria, Albany, Deal, Troy, Philadelphia, Boston, the Brooklyn Heights and Victorian Flatbush sections of New York City, Buffalo, Rochester, Chicago, Columbus, Detroit, Eureka, Galena, Galveston, Grand Rapids, Baltimore, Jersey City/Hoboken, Cape May, Louisville, Cincinnati, Atlanta, Milwaukee, New Orleans, Pittsburgh, Richmond, Saint Paul, Midtown in Sacramento, Angelino Heights and Westlake in Los Angeles. San Francisco is well known for its extensive Victorian architecture, particularly in the Haight-Ashbury, Lower Haight, Alamo Square, Noe Valley, Castro, Nob Hill, and Pacific Heights neighborhoods. 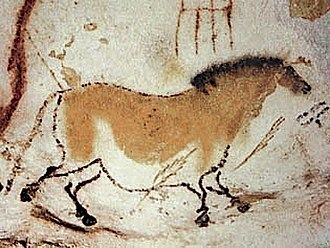 The extent to which any one is the "largest surviving example" is debated, with numerous qualifications. The Distillery District in Toronto, Ontario contains the largest and best preserved collection of Victorian-era industrial architecture in North America. Cabbagetown is the largest and most continuous Victorian residential area in North America. Other Toronto Victorian neighbourhoods include The Annex, Parkdale, and Rosedale. In the US, the South End of Boston is recognized by the National Register of Historic Places as the oldest and largest Victorian neighborhood in the country. Old Louisville in Louisville, Kentucky also claims to be the nation's largest Victorian neighborhood. Richmond, Virginia is home to several large Victorian neighborhoods, the most prominent being The Fan. The Fan district is best known locally as Richmond's largest and most 'European' of Richmond's neighborhoods and nationally as the largest contiguous Victorian neighborhood in the United States. The Old West End neighborhood of Toledo, Ohio is recognized as the largest collection of late Victorian and Edwardian homes in the United States, east of the Mississippi. Summit Avenue in Saint Paul, Minnesota has the longest line of Victorian homes in the country. Over-The-Rhine in Cincinnati, Ohio has the largest collection of early Victorian Italianate architecture in the United States, and is an example of an intact 19th-century urban neighborhood. The photo album L'Architecture Americaine by Albert Levy published in 1886 is perhaps the first recognition in Europe of the new forces emerging in North American architecture. Ford Piquette Avenue Plant, Detroit, Michigan, built 1904. 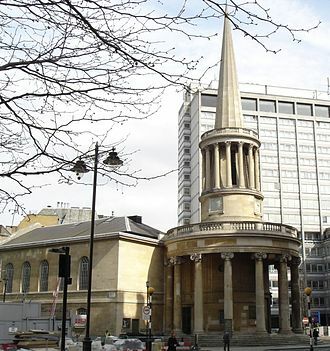 Efforts to preserve landmarks of Victorian architecture are ongoing and are often led by the Victorian Society. A recent campaign the group has taken on is the preservation of Victorian gasometers after utility companies announced plans to demolish nearly 200 of the now-outdated structures. ^ "Old Windows". 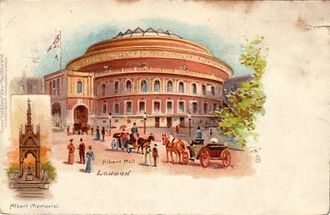 howoldismyhouse.co.uk. Archived from the original on 2016-05-22. ^ Apperly, Irving & Reynolds 1994, pp. 40-97. ^ Apperly, Irving & Reynolds 1994, pp. 132-143. ^ "South End Realty Community". Archived from the original on 2011-07-16. ^ "South End Historical Society". South End Historical Society. ^ "Louisville Facts & Firsts". LouisvilleKy.gov. Archived from the original on 2014-10-06. Retrieved 2009-12-14. ^ "What is Old Louisville?". Old Louisville Guide. Archived from the original on 2009-11-27. Retrieved 2009-12-14. ^ "The Fan District - Great Public Spaces- Project for Public Spaces (PPS)". Archived from the original on 2008-12-01. ^ Stine, L. (2005) Historic Old West End Toledo, Ohio. Bookmasters. ^ "Cincinnati.com". 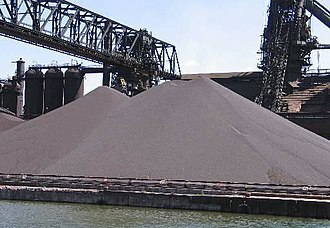 Cincinnati.com. Archived from the original on 20 January 2015. Retrieved 1 May 2018. ^ Lonely Planet (14 January 2016). "Top 10 US travel destinations for 2012". Lonely Planet. Archived from the original on 6 September 2015. ^ Sean O'Hagan, Gasworks wonders… Archived 2016-09-23 at the Wayback Machine, The Guardian, 14 June 2015. Apperly, Richard; Irving, Robert; Reynolds, Peter L. (1994). A Pictorial Guide to Identifying Australian Architecture: Styles and Terms from 1788 to the Present. Angus & Robertson. ISBN 978-0-207-18562-5. Dixon, Roger; Muthesius, Stefan (1978). Victorian Architecture: With a Short Dictionary of Architects and 251 Illustrations. Thames and Hudson. ISBN 978-0-500-18163-8. Lewis, Arnold (1975). American Victorian architecture: a survey of the 70's and 80's in contemporary photographs. Dover Publications. ISBN 978-0-486-23177-8. Prentice, Helaine K. (1986). Rehab Right. Ten Speed Press. ISBN 978-0-89815-172-5. , includes descriptions of different Victorian and early-20th-century architectural styles common in the San Francisco Bay Area, particularly Oakland, and detailed instructions for repair and restoration of details common to older house styles. It was one of many Revival styles of the mid to late 19th century, and just one among several concurrent modes of Classicism. Neo-Grec was eclectic, abstracted and sometimes bizarre and its treatment was intentionally dry and linear. Its vignettes and repeating patterns lent themselves to stencilling, typical Neo-Grec color harmonies were rich and harsh, black motifs and outlines against Pompeian red, powder blue and puce and olive drab might be combined in a single decor. Lions heads and feet and eagles talons, although an old ornament, were now everywhere to be found again, the British fancy was carried captive, journeys were taken, explorations were set on foot, measurements were made and at last the Elgin Marbles came to England. Mr. Flaxman, and representing Aurora visiting Cephalus on Mount Ida, round the bottom of the room still reign the emblems of night. In the rail of a marble table are introduced medallions of the god of sleep. The bird consecrated to the latter deity perches on the pillars of a marble mantelpiece. The broad band which girds the top of the room contains medallions of the goddess and of the Phrygian youth intermixed with the instruments. It maintained its supremacy briefly before other fashions came to the top in France, in architecture the Neo-Grec is not always clearly distinguishable from the Neoclassical designs of the earlier part of the century, in buildings such as the Church of the Madeleine, Paris. 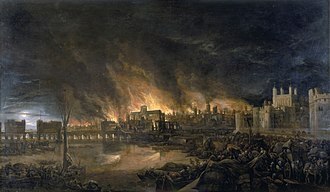 Not only was the Neo-Grec popular in France, but in Victorian England and especially in the United States, the architectural historian Neil Levine has explained the style as a reaction against the rigidity of classicism. According to Levine, Neo-Grec was a looser style, which replaced the rhetorical form of classical architectural discourse by a more literal. It was meant to be a readable architecture, in painting, the Neoclassical style continued to be taught in the French Academy des Beaux-Arts, inculcating crisp outlines, pellucid atmosphere, and a clear, clean palette. However, a formal Neo-Grec group of artists was created in the mid 19th century after growing interest in Ancient Greece and Rome, and especially the excavations at Pompeii. 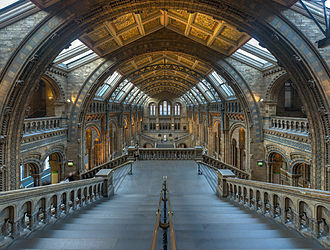 Alfred Waterhouse RA was an English architect, particularly associated with the Victorian Gothic Revival architecture. He is perhaps best known for his design for Manchester Town Hall, financially speaking, Waterhouse was probably the most successful of all Victorian architects. Though expert within Neo-Gothic, Renaissance revival and Romanesque revival styles, Waterhouse was born on 19 July 1830 in Aigburth, Lancashire, the son of wealthy mill-owning Quaker parents. 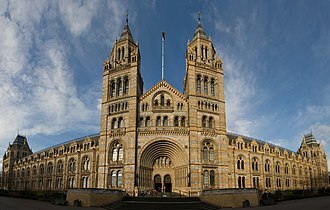 Alfred Waterhouse was educated at the Quaker Grove House School in Tottenham and he studied architecture under Richard Lane in Manchester, and spent much of his youth travelling in Europe and studying in France and Germany. On his return to Britain, Alfred set up his own practice in Manchester. Waterhouse continued to practise in Manchester for 12 years, until moving his practice to London in 1865 and his earliest commissions were for domestic buildings. 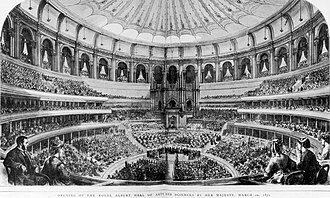 His success as a designer of buildings was assured in 1859 when he won the open competition for the Manchester Assize Courts. This work not only showed his ability to plan a building on a large scale. In 1860, he married Elizabeth Hodgkin, daughter of John Hodgkin, Elizabeth was herself the author of several books, including a collection of verse and some anthologies. Her best known work was The Island of Anarchy, a Utopian story set in the late 20th century, first published in 1887, Waterhouse had connections with wealthy Quaker industrialist through schooling and religious affiliation. Many of these Quaker connections commissioned him to design and build country houses, several were built for members of the Backhouse family, founders of Backhouses Bank, a forerunner of Barclays Bank. For Alfred Backhouse, Waterhouse built Pilmore Hall, now known as Rockliffe Hall, in the same village he built the Grange, now the Hurworth Grange Community Centre, which Alfred Backhouse had commissioned as a wedding gift for his nephew, James E. Backhouse. Another Backhouse family mansion designed and built by Waterhouse was Dryderdale Hall, near Hamsterley, in 1865, Waterhouse was one of the architects selected to compete for the Royal Courts of Justice. Mentmore Towers, historically known simply as Mentmore, is a 19th-century English country house built between 1852 and 1854 for the Rothschild family in the village of Mentmore in Buckinghamshire. The mansion has been described as one of the greatest houses of the Victorian era, Mentmore was the first of what were to become virtual Rothschild enclaves in the Vale of Aylesbury. Baron Mayer de Rothschild began purchasing land in the area in 1846, other members of the family built houses at Tring in Hertfordshire, Aston Clinton and Halton. 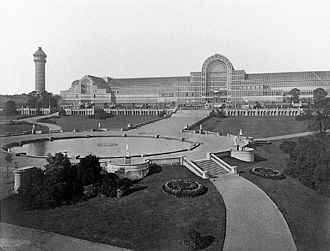 Much of the parkland was sold in 1944, but Mentmore remained with family until 1977, in 1999, it was sold to investor Simon Halabi, who planned to build additional hotel and conference facilities. Mentmore Towers is a Grade I listed building, with its park, baron Rothschild hired Sir George Paxton, who had previously designed the much-admired Crystal Palace, to design Mentmore. The builder was the London firm George Myers, frequently employed by members of the Rothschild family, the design is closely based on that of Robert Smythsons Wollaton Hall. Baron Mayer de Rothschild and his wife did not live long after the Towers completion, after the Baronesss death it was inherited by her daughter Hannah, Countess of Rosebery. Following her death from Brights Disease in 1890 at age 39, in the late 1920s, the fifth earl gave the estate to his son Harry Meyer Archibald Primrose, Lord Dalmeny, who in 1929 on the death of his father, became the sixth Earl. Both earls bred numerous winners of horse races at the two stud farms on the estate, including five Epsom Derby winners. These were Ladas, Sir Visto, and Cicero from the Crafton Stud, plus Ocean Swell, the second wife of the sixth Earl, Eva Primose, Countess of Rosebery, was interested in the arts and was acquainted with Kenneth Clark and other national art museum directors. 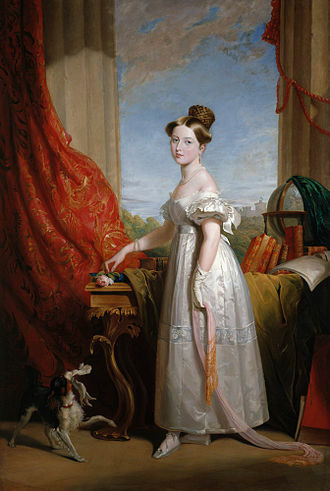 As a result of Lady Roseberys friendships, Mentmore was chosen by the British government to store part of the British national art collections during the Second World War. The collections of the National Portrait Gallery were subsequently stored at Mentmore for the duration of the war, along with pieces from the Royal Collection, including the Gold State Coach. The Italianate style of architecture was a distinct 19th-century phase in the history of Classical architecture. The style of architecture that was created, though characterised as Neo-Renaissance, was essentially of its own time. The Italianate style was first developed in Britain about 1802 by John Nash and this small country house is generally accepted to be the first Italianate villa in England, from which is derived the Italianate architecture of the late Regency and early Victorian eras. The Italianate style was developed and popularised by the architect Sir Charles Barry in the 1830s. Barrys Italianate style drew heavily for its motifs on the buildings of the Italian Renaissance, the style was not confined to England and was employed in varying forms, long after its decline in popularity in Britain, throughout Northern Europe and the British Empire. From the late 1840s to 1890 it achieved popularity in the United States. A late intimation of Nashs development of the Italianate style was his 1805 design of Sandridge Park at Stoke Gabriel in Devon. Later examples of the Italianate style in England tend to take the form of Palladian-style building often enhanced by a belvedere complete with Renaissance-type balustrading at the roof level. Sir Charles Barry, most notable for his works on the Tudor, unlike Nash he found his inspiration in Italy itself. 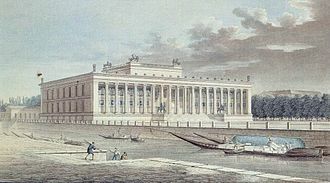 Barry drew heavily on the designs of the original Renaissance villas of Rome, the Lazio and his most defining work in this style was the large Neo-Renaissance mansion Cliveden. Thomas Cubitt, a London building contractor, incorporated simple classical lines of the Italianate style as defined by Sir Charles Barry into many of his London terraces. Following the completion of Osborne House in 1851, the became a popular choice of design for the small mansions built by the new. These were mostly built in cities surrounded by large but not extensive gardens, on occasions very similar, if not identical, designs to these Italianate villas would be topped by mansard roofs, and termed chateauesque. However, after a modest spate of Italianate villas, and French chateaux by 1855 the most favoured style of an English country house was Gothic, the Italianate style came to the small town of Newton Abbot in Devon, with Isambard Brunels atmospheric railway pumping houses. Selwyn College is a constituent college in the University of Cambridge in England. The college currently has 56 Fellows and around 110 non-academic staff, in 2006 it had an estimated financial endowment of £22 million, and in 2004 fixed assets were worth £70 million. The college was ranked 16th out of 30 in an assessment of college wealth conducted by the student newspaper Varsity in November 2006, in 2008, Selwyn was ranked first out of the 29 colleges which admit undergraduate students on the Tompkins Table. In 2016 it had fallen to 15th, Selwyns sister college at Oxford is Keble College. 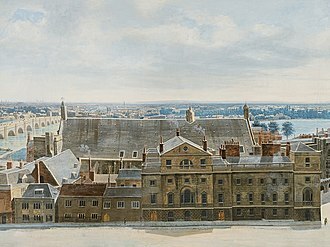 It proposed that a new Cambridge college should be established as a memorial to his legacy, the foundation stone of the College was laid by Edward Herbert, 3rd Earl of Powis in a ceremony on 1 June 1881, following a lunch in Kings College, Cambridge. Selwyns first 28 undergraduates, joined the original Master and twelve other Fellows at the Public Hostel of the university in 1882, the college was founded by subscription, with an explicitly Christian mission. Membership was initially restricted to baptised Christians, the foundation charter specified that the college should make provision for those who intend to serve as missionaries overseas and. The chapel was built in 1895 before the hall, as it was deemed to be more important. 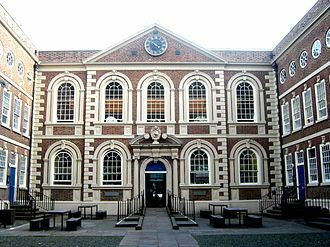 However, a library was opened in 1928, funded by subscriptions in honour of College members who had died in the First World War. 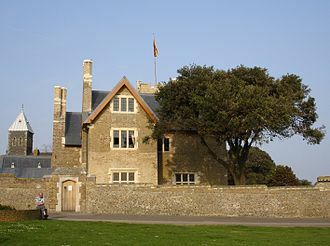 University education was expensive at the time of Selwyns foundation, and it was intended to be a college for poorer students, undergraduates initially paid £27 per term for food, lodgings and tuition, with a small surcharge for medics and engineers. This was only raised to £28 in 1916, and £33 in 1918, to keep the College afloat, Selwyn, in common with other Cambridge colleges, originally admitted only men, but was one of the first colleges to become mixed when women were admitted from 1976. In 1976, women lived only on E and H Staircases, in 2009, Selwyn became the first Cambridge college to appoint a female head porter, Helen Stephens. Phase I was completed in July 2005 and consists of 43 ensuite rooms and 15 administrative offices, the second phase, including 40 en-suite bedrooms forming staircases Q and R and a new Junior Combination Room at a cost of £2.5 million, was completed in Summer 2009. The College bar was refurbished in 2002, and redecorated in 2011, the plans for Phase 5 may turn into two more staircases of accommodation, as needs dictate. The Selwyn College coat of arms incorporates the arms of the Selwyn family impaled with a version of the arms of the Diocese of Lichfield, Selwyn College began to use its Arms long before an official grant by the College of Arms. 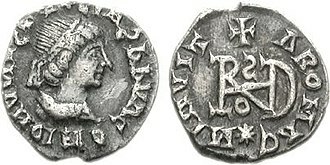 The dexter half of the arms are unusual, with or countercharged on argent, violating the rule of tincture and this is thought to refer to the arms of the Kingdom of Jerusalem, which famously violates this rule. Selwyns pastoral staff is based on a hardwood Māori staff which is held in the College Chapel, the College was granted a badge, A Mitre Or within an Annulet Purpure. Masonic Temple, Aberdeen, Scotland built in 1910. Catts Farm, Kingsclere, Newbury, design by H. Launcelot Fedden (1869-1910), as seen in The Building News, July 31, 1908. Many animals are approximately mirror-symmetric, though internal organs are often arranged asymmetrically. The ceiling of Lotfollah mosque, Isfahan, Iran has 8-fold symmetries. Seen from the side, the Taj Mahal has bilateral symmetry; from the top (in plan), it has fourfold symmetry. Annie Paxton standing on a Victoria amazonica leaf in the lily house; Paxton's design for the Crystal Palace took its cue from the organic structure of this plant. Named after William Cavendish, Cavendish bananas were cultivated by Paxton in the greenhouses of Chatsworth House in 1836. 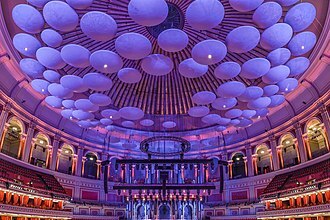 The Grand Hall at Mentmore. 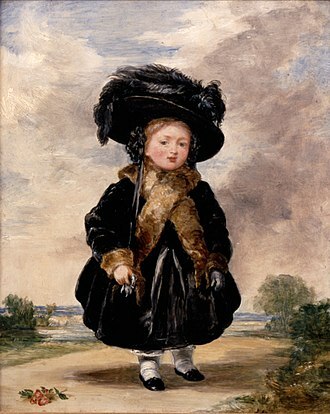 Aged just six months, Hannah de Rothschild laid the foundation stone for the great mansion on 31 December 1851. Manchester Town Hall, built 1868-1877.